Recently, the Motorola One Vision showed up on Geekbench with the Samsung’s Exynos 9610 chipset, but it wasn’t confirmed if the company would launch such a device this year. Then, a report from XDA-Developers confirmed that Motorola is indeed going to launch an Android One device powered by the 10nm Exynos 9610 processor. 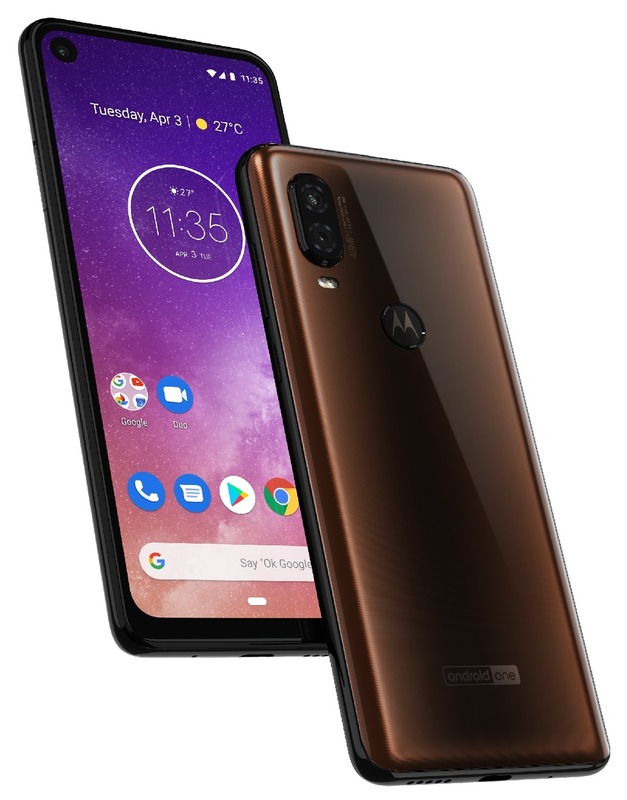 Today, the first press render of the phone leaked that again confirmed the fact that the Motorola P40 and Motorola One Vision are the same phones but for different markets. As the press image shows, the phone has a hole-punch display on the front like Honor View 20, but there is still a big bottom chin. On the rear, there is a dual camera setup, and we can see that the primary camera has a 48 Megapixel sensor. The fingerprint scanner is placed on the rear & we can also see the ‘Android One’ branding on the back. The USB Type-C port, along with the speaker grill and primary microphone, is placed on the bottom while the headphone jack is on the top. Talking about the specifications that we know so far, the Motorola One Vision has a 21:9 Full-HD+ display, 10nm Exynos 9610 Processor, 3/4GB RAM, 32/64/128GB ROM, Android Pie & a 3,500mAh battery with 18W Fast Charging. There is still no information related to the launch date.